Final Issue of Tom Strong and the Planet of Peril Out This Week! Tom Strong and the Planet of Peril #6 hits stands (both physical and digital) tomorrow. 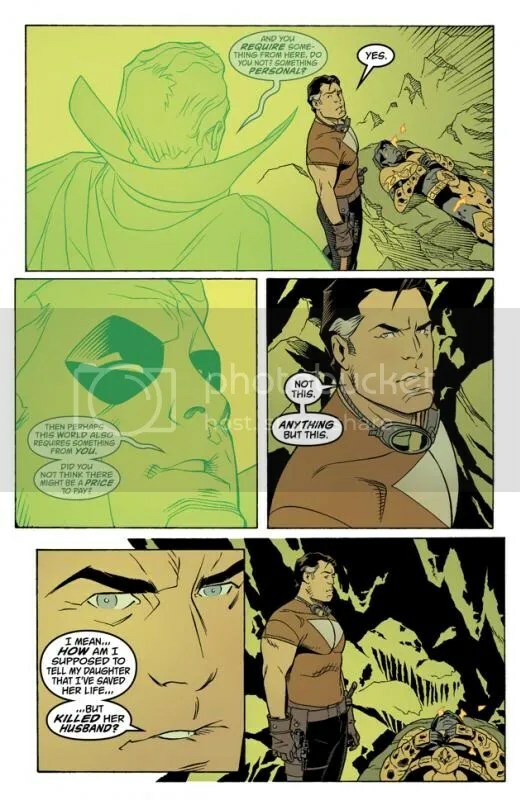 Comics Alliance has posted a 6-page lettered color preview. Click HERE to see it. Ordinarily I’d post another color page and the corresponding pencil art in this kind of post, but the preview already gives too much of the story away, and my favorite pages from the issue have significant plot details I don’t want to ruin. 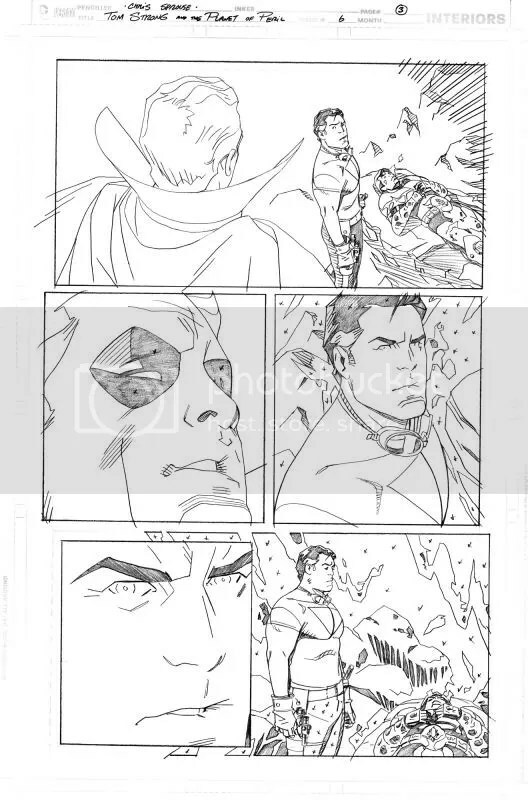 So, I’m just going to re-post one of the preview pages and its corresponding pencil art for now. What’s next for you after this project? Always happy to see you on the shelves! I’m doing some work for the Batman ’66 series, then something with a major DC character I’ve only drawn one single time before, hopefully something that will be long-term. I’ll reveal more when I can! Hi, Chris! I just a left a long reply to the article about Peter Hogan in The Beat, and I just wanted to say congratulations on this latest “Tom Strong” series. It was so very nicely done. What a great conclusion, too! Your artwork, as always, was superlative. I have my fingers crossed that you will someday be able to work on a third Tom Strong miniseries, but I will continue to look forward to your work wherever it appears. Thanks for the kind words and for alerting me to The Beat’s piece on Peter. I enjoyed both the original piece and your comment–some nice observations in both. I hope we get more chances to revisit the world of Tom Strong in the future myself!